At the heart of The Husband's Secret by Liane Moriarty is a letter that's not meant to be read...Mother of three and wife of John-Paul, Cecilia discovers an old envelope in the attic. Written in her husband's hand, it says: to be opened only in the event of my death. Curious, she opens it - and time stops. John-Paul's letter confesses to a terrible mistake which, if revealed, would wreck their family as well as the lives of others. Cecilia - betrayed, angry and distraught - wants to do the right thing, but right for who? If she protects her family by staying silent, the truth will worm through her heart. But if she reveals her husband's secret, she will hurt those she loves most...Perfect for fans of Jodi Picoult, or anyone who enjoyed One Moment, One Morning or The Midwife's Confession, The Husband's Secret by Liane Moriarty is about the things we know, the things we don't, and whether or not we ever get to choose. Above all, though, it's about how we must live with the consequences of our actions - whether we like it or not. Praise for Liane Moriarty: "Highly addictive". (She). "Gripping, acutely observed, thought-provoking and funny". (Marie Claire). "Captivating". (Closer). 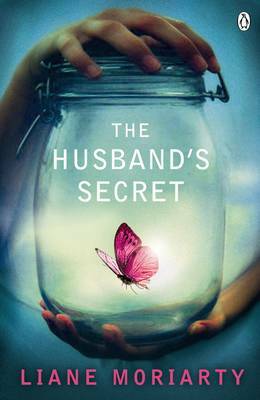 "The Husband's Secret is a staggeringly brilliant novel. It is literally unputdownable". (Sophie Hannah). Liane Moriarty is the author of four novels, Three Wishes, The Last Anniversary, What Alice Forgot and The Hypnotist's Love Story all of which were published successfully around the world and translated into seven languages. Writing as L.M. Moriarty, she is also the author of the Space Brigade series for children. Liane lives in Sydney with her husband, son and daughter.